The evolution of the MARDUKITE NECRONOMICON has been beyond incredible – it has become not only a work of art, but undying spiritual devotion to the Source of all existence and the pursuit of undefiled truth behind human beliefs and cultural expressions. Not sought for fame or fortune, the meagerly operated offices of the Mardukite Chamberlains (Ordo Nabu Maerdechai) worked from late 2008 through 2009 in a diligent academic and mystical pursuit that would serve to become the basis for a modern revival tradition… the likes of such the world has not seen for thousands of years. Seekers from all over the globe have begun a mass movement toward the MARDUKITE paradigm and for good reason: it makes sense – it is whole and complete, drawing from the most ancient origins capable of our understanding, making no excuses for itself and in it’s own self-evidence, requiring nothing be taken blindly on faith. Looking back to the beginnings we find the origins for all of contemporary beliefs and life-structure among the ancient Sumerian and Babylonian lore. The echoes of these vibrations have since been carried throughout all cultures and are deeply ingrained or impressed on the entire consciousness field that the planet shares. “NEW AGE” REVIVALS of ancient paganism and earth oriented spirituality, Druidry and magick are a natural response: the state of the world is in demand for a complete shift in human awareness. And while H.P. Lovecraft may have been alluding to such a tradition nearly one hundred years ago (even if only subconsciously) and the 1960’s witnessed a gigantic practical rebirth of such traditions, it was really in the late 1970’s that a separate but synchronous mainstream awakening occurred: renewed interest in antiquated Sumerian and Babylonian mysteries, specifically the role of Anunnaki, “Great Gods” who once roamed the Earth and became figures of our ancient mythologies around the globe. these figures who appeared in our ancient mythologies as “Gods” (including the very divine encounters referred to in the Old Testament) were of a common origin, called “Anunnaki” by some, and that this was a very important key to understanding the convoluted evolution of the original tradition that developed into the variegated systems now bursting from the new age. For example, the tradition was echoed across the Danube River of mainland Europe by none other than the “Tuatha d’Anu” (Tuatha de Dannan) or “Children of ANU” into what we call “Druidry” today. And what’s more, if all of these concepts do centralize with some type of alien inter-dimensional intelligences, then certainly the foundations of all modern religious, mystical and even anthropological lore are in serious need of reevaluation. Such a reevaluation is the intended direction of energy made by the current editor in shedding new light on these mysteries in a medium and at a time when they might be best received, or be prophetically found necessary — a very real collection of the oldest texts of the oldest traditions on the planet combined together under the umbrella of “NECRONOMICON” by which it would be best received or understood as an archetype in the underground “New Age” movement. 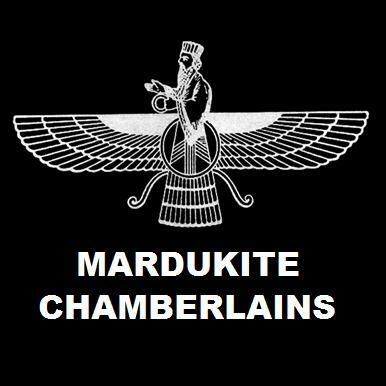 The NECRONOMICON ANUNNAKI BIBLE was originally manifested to validate the reconstruction of a “Mardukite” movement, that which was actually the basis for mystical priesthoods of ancient Babylon and Egypt, and in turn have become the source for a diverse array of other practical systems. More than this, however, the NECRONOMICON ANUNNAKI BIBLE is being presented to the public in its present pious condition to give a fresh boost in the human consciousness concerning the book, one that is not merely shroud in some sophomoric gruesome gothic fantasy horror. Elements of this nature do not appear in the present text, which was prepared for true priests and priestesses, magicians and wizards of this tradition and not as a left-hand path grimoire intended to scare dabblers who will undoubtedly fail to understand these mysteries enough to misuse them anyway.